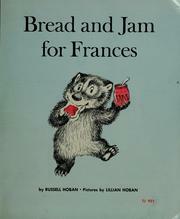 Growing up, one of my most beloved children’s books was Bread and Jam for Frances, by Russell and Lillian Hoban. I was recently delighted to learn the book turned 50 years old in January. I can still remember Frances at the breakfast table singing a silly song about eggs, while munching on her favorite bread and jam. She loved it so much she wanted to eat it at every meal. I always thought, what a lovely idea! The rest of the story shows just how this plan works out when she does. 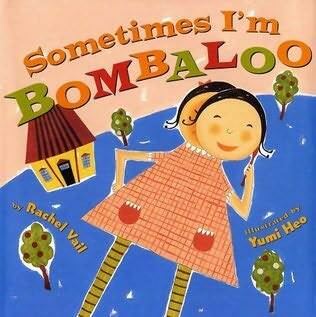 All of the Hoban’s Frances books are on my favorites list, but this story stands out among the rest. I remember loving the furry little badger who seemed to have all the same problems I did–at school, at bedtime, with friends, and even what I wanted to eat! I could see myself in Frances, even at a young age. Many more stories came into my life through childhood, but there were a few special favorites I wanted read aloud to me again and again and again. It was always a good time to hear a good story. When I was old enough to read by myself, I would often reach for my comforting old friends in the dog-eared pages – even just to simply take a quick peek at the illustrations. It was like feeding a craving, and feeling peaceful, nostalgic, and satisfied all at once. It still happens today. This is the joy of reading. Our society is highly focused on new things these days, and we pass this trend on to our children. We often look for the newest, shiniest toys and gadgets. So many new books and authors are fabulous, yet we can’t forget the classics. Tried-and-true classic children’s books will never go out of style, and we need to share them and keep them alive. Reading classic favorites together is a wonderful way of connecting and relating to each other at all ages, and forming a bond through reading and loving books. So, what was your favorite book as a child? Can you see the cover in your mind? What did the illustrations look like inside? What colors stood out? Can you still recite the words by heart? Can you remember who read it to you? Or did you read it to yourself? This is something you will hold dear all your life. So share it with a child you know! Tell them everything you love about it. Talk about it. Share your memories of it. Keep that book alive, and tell the story with the same excitement and warm smile you have every time you see it. Just seeing your love for the book will inspire the child to want to read more and discover their own favorite stories for years to come.